Hi everyone and welcome to another update for Mphatikizo. 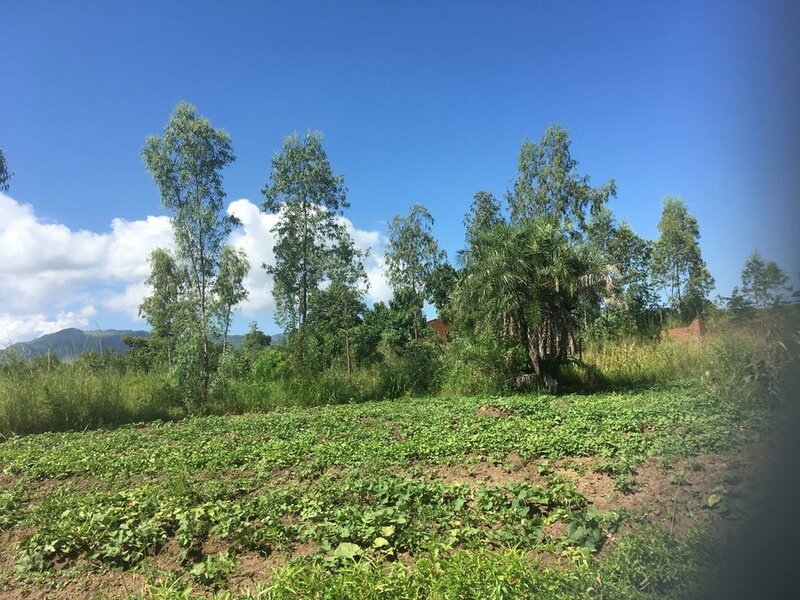 Whilst I am still working here in New Zealand Regina and the kids continue with the hard work and on the ground in Malawi Mphatikizo continues to grow and assist people in the Machinga district. The Pre -School /Feeding Centre continues to grow at an alarming rate with the daily role now topping out at just shy of 200 children. We did receive food from the World Food Program via the Joyce Banda Foundation for last month but are still as of writing awaiting a firm commitment to supply food in the future. Mary’s Meals a Scottish Organization who were operating in the area have also made a commitment to assist us but we are still awaiting their final approval to come through from the UK. They are aware and are appreciative that some of the children visiting our Center where being cared for by then until the closure of their facility earlier this year. Here in New Zealand on an administrative front I am pleased to welcome Richard Fitzgerald to the team of Trustees . 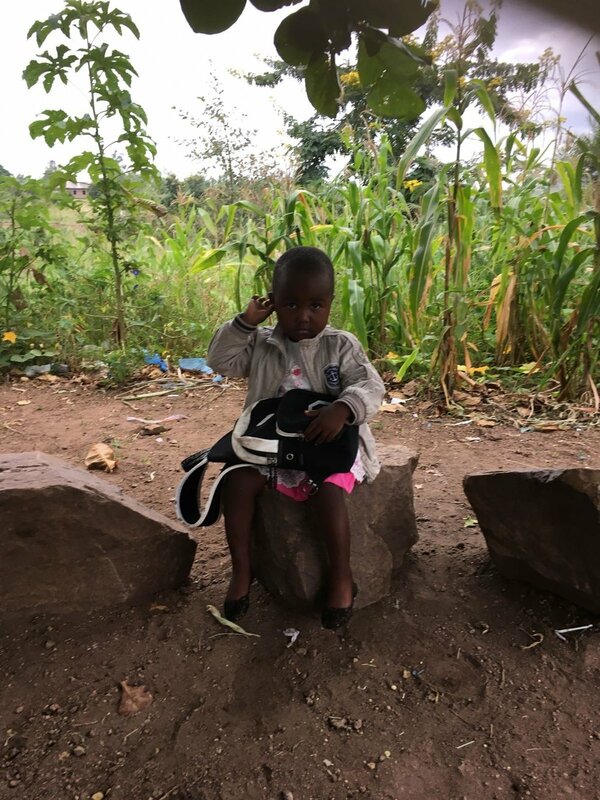 Richard and his daughter Megan spent some time with us in Malawi last year and has been brought on board to administer the charity here in New Zealand and help take us to the next level. Regina and I both found that once in Africa the work load of running the charity both in Africa and New Zealand too much and whilst the charity continues to grow in Malawi here, on the ground ,it has very much stalled. Ricahard has a great deal of experience in the charity sector and together with the team here in New Zealand will grow the charity at a pace equivalent to the growth in Malawi. The picture that shows a young child in purple, was ear marked for the Orphanage together with her brother after a request by the childrens grandmother for help, as she was unable to care for the children. This young girl is unable to walk and has to be carried to school each day and the family are poor even by Malawian standards. On visiting the family we have decided to leave the children in the care of their Grandmother ,whilst assisting the family in the meantime with food ,until we can find a long term solution. Once funds are available we will purchase the girl a wheel chair and assist with school fees for both the children. Whilst the Orphanage was one option, both Regina and myself have always maintained from the outset that it would be the last solution and if possible we would assist vulnerable children in their homes, together with either family or relatives. We will only take children into the orphanage should no other options or family members be available. On the Orphanage front the 12 children coming from the “state” continue to be in lombo with the UN paperwork done however Social Welfare still a work in progress. We have heard rumblings that the process is nearly complete but will believe it when they walk through the front gates . This is Africa !!!!! On the micro finance front the market gardens at the Orphanage where we are growing sweet peas, beans and corn both for sale and to feed the children. Still very much it its early stages we hope this business will provide a much needed revenue source for Mphatikizo. It desperately needs more funding both for labour and equipment but this shows us what we can achieve and is very much the future for Mphatikizo. The market garden will be run organically and we hope will provide the local lodges with their vegetables during the tourist season at the National Park. The Orphanage Library has also been running small business courses to several groups of woman will have selected for the next micro finance loans later in the year. I will finish this update here and leave you with a final picture of a young girl called Fever. Regina goes to the Orphanage early most mornings at around 5am. This particular morning she saw Fever sitting there waiting for the School to open which incidentally is not until 7 30 am ! For many of these children the school not only provides their only substantial meals of the day but also gives an environment in which they are cared for and can forget the pressures of everyday struggle. It can be hard to understand in New Zealand what life is like for these kids in Africa. As always thank you for your love and on going support for the the people of Mtubwi.